Specialties: Residential and Commercial Real Estate in The Greater Toronto Area (GTA). Working with Rob on the sale of our home has been an absolute pleasure! His professional attitude and easy approach gave us the confidence we were looking for in our Realtor. Thank you Rob!! We spent several weeks with Rob looking for our new home. He was everything that you would hope for in a real estate agent. He returned our first email within a day, even though he was on vacation in Florida. Rob took the time to carefully explain what he could bring to the table and what benefits we would receive from having him as our agent. After a very short afternoon we were convinced that Rob's expertise in the market would be a huge benefit to us throughout the process. Because of his careful attention to the details that we were interested in, the process was very short. He showed us everything we had asked for in several different locations and again gave us the benefits of living in different neighborhoods. He showed us exactly what we were looking for and negotiated a great price for our new home. We were not disappointed. The best thing about the whole experience is that we gained a great friend. Thanks Again Rob! The townhouses in my complex were taking four to six months to sell at much less than asking price. I listed with Rob and sold my townhouse in one week at 98% of asking price, which in the end is all that matters. We would recommend Rob Faludy to anyone wishing to have a very professional person handle their property. He spends time with the client going through the steps of prelisting and answering any questions. Rob listens carefully to understand your objectives and you do not feel rushed or pressured. Rob provides you with all the tools to make the right decision. 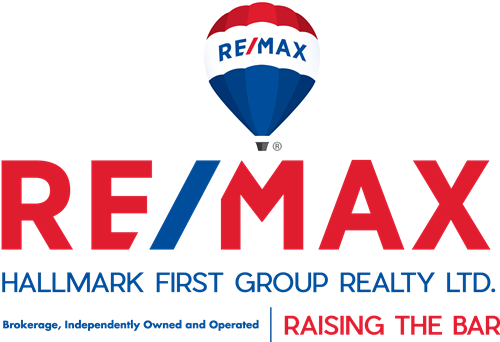 He brings his 25 sales years experience, along with the RE/MAX team of professionals to make a powerful negotiating service. He is dedicated to getting results for his clients and in our experience was very successful. We highly recommend Rob to do the job you need done! We would like to take this opportunity to thank you for helping us to find our dream home and selling our old home in a very tight closing time-frame. We really appreciate the speed and thoroughness you demonstrated while selling my home. The whole process from the listing to the follow through was handled very professionally. You had even went “extra mile” in offering incentive from your own pocket in order to sell our previous home so that we can move in to our new home as quickly as possible. Your professionalism and negotiating skills had enabled us to get the price that we would expect to pay for our new home. Thank you again and we will definitely recommend you to our relatives and friends if they are in the market for selling and buying homes. We want to thank you for helping us find our home. We would like to take a minute to tell our story to others. We were a first time home buyer, and really didn’t know much about the process. We came across Rob on the internet, and he said he would meet with us. After meeting with Rob the first time we knew he would be our real estate agent. Rob showed us 2 houses, but they did not stick out to us. We didn’t think there were any houses on the market we liked, until Rob e-mailed us and a listing. We decided to take a look at it with him, and fell in love with it. We recently purchased it and moved in and owe it all to Rob for finding it for us. He got our house at the original price that we offered. We owe it all to Rob for our lovely house! Rob was VERY professional and an all around great guy. He found us our first house, and we have recommended him to all our friends. He not only knows a lot about the business, he is also very personable and easy to get along with. We will definitely use Rob in the future for our real estate needs! It was a pleasure working with you Rob, and keep in touch. Thanks for everything! Rob Faludy is an excellent realtor for many reasons, but for me in particular I was impressed by his attention to detail when promoting my house for sale. As well, if I had a concern or question about any aspect of the selling of my house, Rob was prompt in answering me and addressing my queries. I am very selective as to who I choose to "do business with" as I want and deserve the best. Rob will not disappoint you. Rob took care of us from start to finish and best of all he did it with a comforting human touch. His professionalism was evident as he personally guided us through what can be an unnerving experience. Rob demonstrated a level of professionalism that is hard to find these days. He gets results! He quickly sold our old home at listing and worked hard to get us the best possible price on our new one. Whenever we want to buy or sell again we know Rob will be there for us. I appreciate all the amazing work you did in helping me find and purchase my first home. The whole endeavour was quite imposing at first, but you walked me through the process so thoughtfully. You were very patient as I looked at numerous houses until finally finding the home I really wanted. And you negotiated to get me the best price on the home I really wanted. Every time you came to pick me up for house hunting, you had a cheery disposition and a friendly smile. Thank you for making the house buying process an enjoyable and easy one. I would recommend you to all my friends for their home buying needs. I really appreciate the speed and thoroughness you demonstrated while selling my home. The whole process from the listing to the follow through was handled very professionally. Your selling and negotiating ability was impressive, having sold our home in 3 days for above list price. I am thrilled. I am very comfortable in recommending your services to anyone buying or selling a home. They will be in good hands. You took great care of us in the planning and finally the sale of our home of thirteen years. We needed a bit of sprucing up to make our home look attractive and inviting to potential buyers. So Rob brought in an Interior Designer to make suggestions on paint colors and staging of furniture, prints and other accessories. We were very impressed with the Designer and her choices, it sort of felt like we were on one of those home makeover shows like "Trading Spaces". Well after we were done painting etc the house looked great. We put it up for sale and one week later we had two offers for just over asking price. Rob is wonderful to deal with. He will bend over backwards to help his clients get the best price possible in the least amount of time. Coupled with his knowledge and warm personality he's a natural in the real estate business!! I would like to thank you for your patience and dedication in helping me find my new home. Your positive personality and your friendly face with no pressure sure made me feel very comfortable and trusting. Your consideration and professionalism in presenting the offers was outstanding. It was a pleasure to do business with you and I would gladly recommend you to all my friends and colleagues who are in the market for a new home. Thank you again Rob. I would like to take this opportunity to thank you for “a job very well done”. You provided a professional service that sold my house within 2 weeks at exactly the amount that I had counted on, that in a nutshell is the most important thing. Your services from the moment of listing, to showings appointments and Open Houses were very professional. You even went the “extra mile” in having a second Open House, even though the house had a signed conditional offer on it. That I found rather amazing, since most people would have done something else with their time. You also provided that extra service of personally bringing to my house late in the evening some documentation that I requested, others would simply have waited till the next day and have had the office secretary do it. I would not hesitate to recommend your services to anyone, for I know they would be handled in the same professional, personal and totally trusting manner as I was. It gives me great pleasure to provide this letter of reference for Rob Faludy – business associate and friend. With over 20 years of Corporate business experience I have never met an individual who parallels Rob Faludy in the areas of business acumen, service, dedication, and willingness to do “whatever it takes” to get the job done. Rob’s communication style is both direct and welcoming - he is absolutely focused on building relationships and delivering measurable results. I would recommend Rob Faludy to anyone interested in exploring the real estate market -he is well versed and intentional about meeting his client’s needs. Rob delivered for us in only six weeks – from developing a “short list” of potential properties to the signing of the deal to moving us into our new home. We couldn’t be more pleased. It is a joy to work with Rob Faludy, and my hope is that I’ll have the privilege of working with him again in the future. Thank you for the service you provided in selling my property. You went beyond the expected. I knew the house would be a difficult sell as it was one of a kind. You not only found one buyer but two. I remember you clearing the front steps of snow for me in March and having to install new locks after I moved to Alberta. I am positive there were many problems you solved that you didn’t tell me about. I appreciate it as I was under lot of stress. Thanks again, and I know you have many grateful clients ahead of you. This was my second time working with Rob. He found me the perfect starter home for me 3 years ago, and was able to seal the deal when there were multiple offers. A month ago it was time to sell and move to a bigger house. He brought in a designer that helped us stage the house. After three weeks of HARD work and getting things ready Rob was able to sell the house in 5 days for significantly higher than asking. Then to top it off, when we found the perfect home to purchase he was able to cut a deal for significantly under the asking price. I recommend Rob to anyone trying to buy or sell a house, he makes the process as smooth as possible and GETS THE JOB DONE! !